Emulate the stunning effect created by a real Christmas Tree in your lounge by placing our small forest green Christmas Tree decorations on window sills and mantelpieces around your home or wedding venue. Place the enclosed LED light (Buttonlite) inside each small Christmas Tree and switch it on to add a warm glow and cast festive shadows around you and your guests. Each Buttonlite lasts 36+ hours and new Buttonlites can be bought separately allowing you to enjoy your Christmas Trees for years to come. 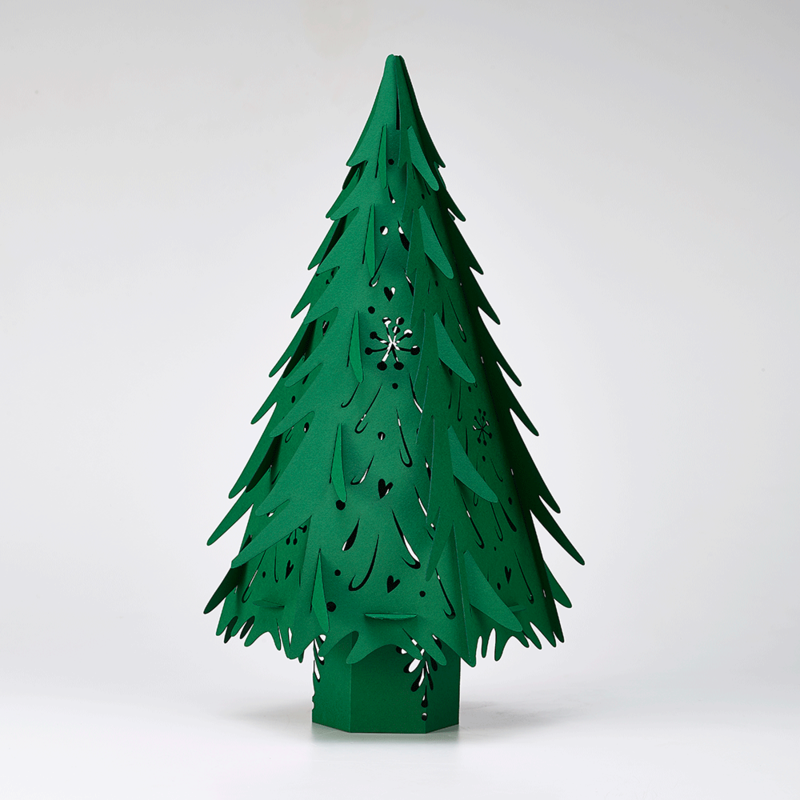 Small paper Christmas Trees are hand crafted in our Sussex design studio from the finest British FSC certified papers and come in a range of sizes to suit any venue or table size – Christmas Trees would make unique table centrepieces at a corporate event this winter, one that your guests could even take home to enjoy afterwards. To ensure you really enjoy the festivities add some of our complementary Christmas bunting and hanging snowflakes.